INSECTIVAL! 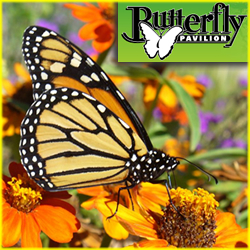 Visit the Butterfly Pavilion in July for the event Insectival – a creepy crawly carnival celebrating the insect world. Activities included with admission price. Activities include games and entertainment such as the Butterfly Encounters, Cockroach Racing, an Info Fair, Carnival Games, a Bubble Land, Caricature Drawings, Bouncey Inflatables, Explore Safaris on the Nature Trail and more!